Like most English children, I learned to play music by reading musical notes on the 12 tone equal-tempered scale. For many years, I was simply unaware of the extraordinarily rich tradition of Indian classical music. A Raga is not a musical scale in the western sense. It not only prescribes a certain limited number of notes but also the order in which they are played and their ornamentation, so as to colour the mind and evoke certain feelings. Indian scales use up to 53 intervals in an octave compared to 12 notes in the Western equal-tempered scale. One of the reasons for this is that Indian music is based on melody – usually a single voice or main instrument accompanied by a drone which allows the soloist to fully explore a scale without clashing with other instruments, whereas Western music is based on harmony where different voices and/or instruments play simultaneously. The Raga Guide – A Survey of 74 Hindustani Ragas, provides a well-written introduction to some of the more commonly used ragas, accompanied by specially recorded, high quality short expositions (between three and six minutes duration) of each raga by Indian musicians. On repeated listening, it is possible to discern the different moods which are evoked, although I’ve found that some time is needed to acclimatise to the subtle intervals of ragas. The science of ragas has developed over many hundreds of years, and it is intriguing to find out that many have fallen into disuse or changed over time. 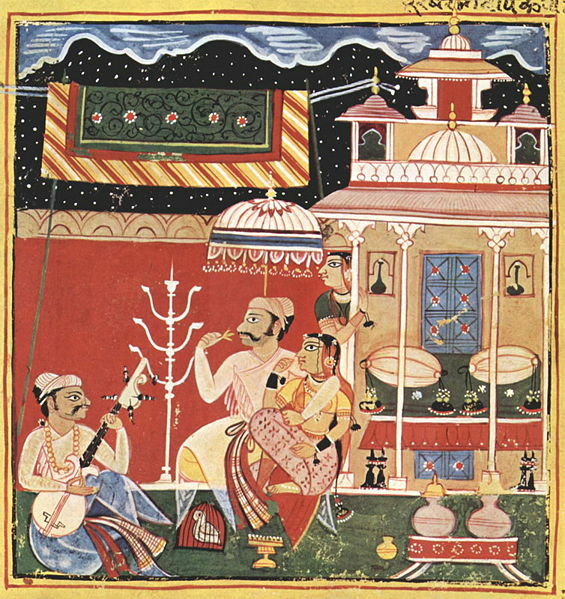 Certain ragas are proscribed for use at certain times of day for maximum effect on the listener. 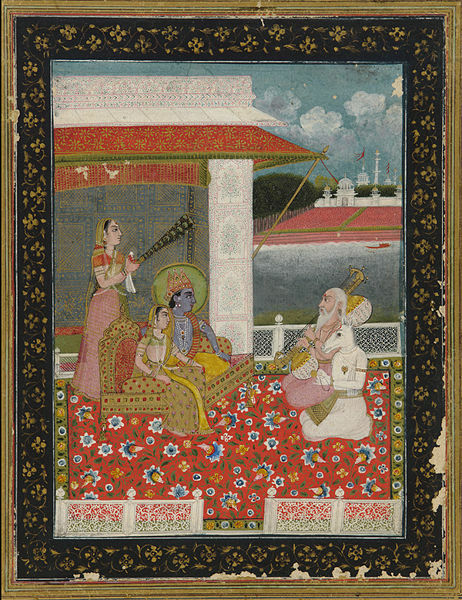 The book also contains forty beautiful reproductions of medieval ragamala paintings, which depict ragas as aspects of human or divine figures. After listening to a number of the ragas, it was interesting to notice how equal-tempered notes of Western music, whether pop or classical seemed to “jar” and sound dull in comparison. One of the most popular ragas is called Bhairavi, which although traditionally a morning raga is often played at the end of a concert. It embodies the words of one of the earliest known masters of raga, Matanga – “in the opinion of the wise, that particularity of notes and specific melodic movements, or that distinction of melodic sound by which one is delighted, is raga”. This collection inspired me to listen to more traditional Indian music recordings. One aspect of this tradition which I particularly like is the use of the “alap” – the slow introductory phase during which the performer accustoms themselves and the audience to the raga – a kind of mutual tuning before the main journey of listening begins.